Getting bored with same orange colour theme of PayPlans or its colour theme doesn't go with your website theme? Don't bother, now select themes of your choice for PayPlans, power is in your hand. Give colours to PayPlans Screens as per your templates. 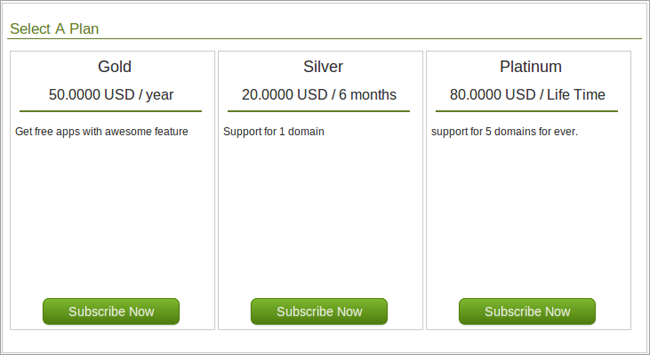 Yes, we have brought some exciting themes and layouts to match your site. With PayPlans 1.0, we introduced different colour schemes to support your light and dark templates and we call them themes. Our colour themes are based on all Joomla colours (Red, orange, blue and green) to best suit your site and they will support any of the templates you use for your site. The only thing you will need to do is to just follow few of our standards of CSS for your templates and then you will have colourul pages. Now just have a look over some of our creativities. In addition to these themes, horizontal and vertical layouts are also provided to let you arrange plans in the manner you want to display. This layout concept is just a start, you can overwrite any layout according to your templates and set up things as per your choice in PayPlans. Layouts and themes do not have any kind of dependencies on each other. Here is the view of configuration page in order to set different themes and layout. After vertical layout in above picture, now glance over horizontal layout. These are some of the initiatives taken to make PayPlans more supportive for your site. Now we really want to know how you find PayPlans and its features. Any feedback regarding themes and layout or other than this will always be appreciable. Note : Different colour themes are available only with Premium and Professional Plans. 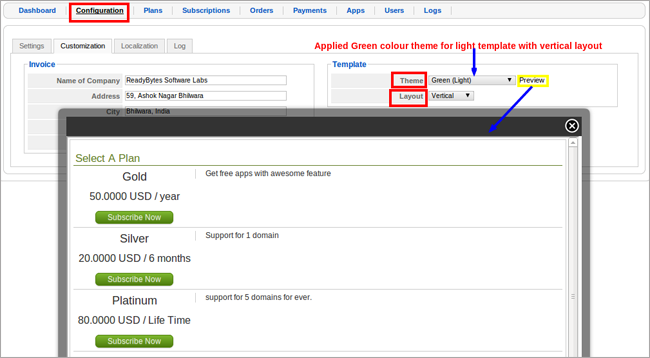 With Standard Plan, you will get only orange colour theme for light and dark templates. Layouts will be available with every plan.